If you want to buy cheap crusaders shirt for 2018-19 season, buy it here in cheap-football.com , Check our exclusive range of crusaders Football Shirts / Soccer Jerseys and Kits for adults and children at amazing prices. Get the cheap crusaders jersey shirts, soccer kits with wholesale price, Free Shipping Worldwide! 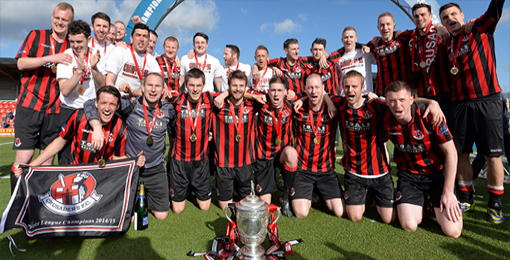 Crusaders Football Club is a Northern Irish football club that plays in the NIFL Premiership. It was founded in 1898.The Crusaders played in intermediate football until 1949, and during that time they were one of the most important out-of-league teams in the country. The dramatic withdrawal of Belfast Celtic from the highest level of Northern Ireland football in 1949 caused the Crusaders to take their place for the start of the 1949-50 season. The club has four leagues, three Irish Cups, two League Cups and one Setanta Sports Cup, among other titles.His traditional rival is Cliftonville F.C., with whom he disputes the North Derby of Belfast, one of the greatest rivalries of Northern Ireland football.